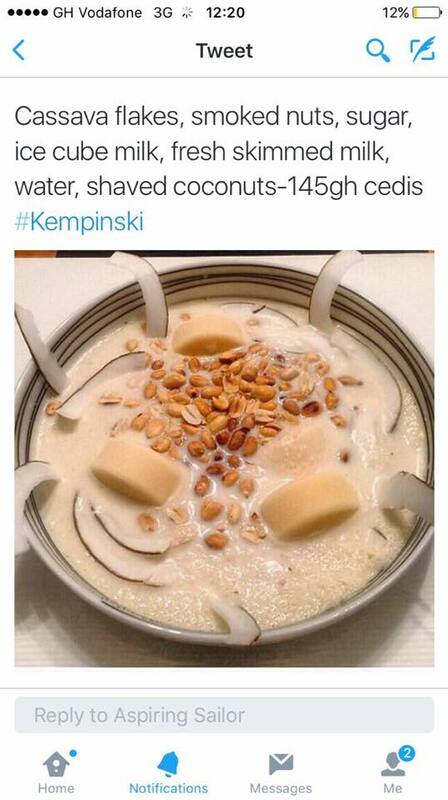 A price of a common Gari soakings at Kempinski Hotel Gold Coast City Accra cost GHC145.00 and this got everyone talking when a photo bearing its recipe hit social media today, June 7. The photo which was first shared on Facebook by Last 2 record label owner Da’ Hammer took everyone by surprise. Now get the breakdown of why it costs such amount. 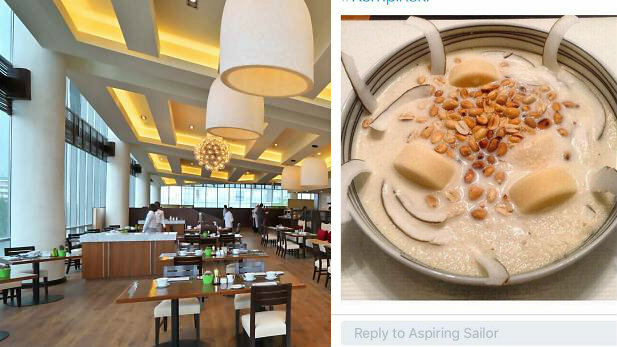 According to the management of the popular hotel, the recipe of the toothsome include; Cassava flakes, smoked nuts, sugar, ice cube milk, fresh skimmed milk, water and shaved coconut. And that’s why it amounted to GHC145.00. The image is a screen grab of the Hotel’s tweet but we at Ghanafuo.com can’t confirm if it’s true. But if it is, prepare yourself very well before dating or hanging out at the 5-star hotel. Do you think their branding is doing this magic for them or just way to much to afford? Let us have your views below.